Nearly, every man’s trousers in the world now contain belt loops. It is apparent that now belts do not serve the alone purpose of holding the trousers in place, but is a fashion statement that is now worn coordinating the clothing. The popular options are leather belts that suits casual and formal. Actually, a belt is simple clothing, yet there are different belt styles, buckles, different lengths and so discarding a belt is not done easily. Moreover, we offer best services in regards to belt. We are located ideally, in the New York City around Brooklyn, Bayridge. We take absolute care in belt repair. Incorporating the latest trends as style is a way of presenting oneself. Adding accessories to our outfit is a part of the outfit and how one perceives it. You just do not have to wear the belt, but it should look sophisticated and trendy. A belt that is loose or without proper fit looks bad and your complete get up receives a setback. Do not worry; we are ready to help you. We provide the belt repair, belt fixing and also belt adjustment services. We can fix this problem of yours on any belts, regular or branded belts. It is not restricted only to adjustment, but we also make the required holes in belt repair and ensure to make button on belt. We have a big team having best practices regarding belt regulation or are skilled to make exact holes in belt repair that you need not worry about belt adjustment. This inevitable fashion designing element, the belt looks perfect and creates an image of a person. We easily get the work done by our expert hands and assure it to be durable. We take care of your belt fixing by setting proper holes in belt repair that you can wear it effortlessly. We value your time and need so fix it in few hours. We aim only in achieving customer loyalty. This is very essential in the competitive market today. We do not compromise in our service, but ensure your belt repair is done with innovative ideas such as to make button on belt or to increase holes in belt. We have a clear cut strategy of convincing our customers by offering quickest belt repair service. We create loyalty and believe in word of mouth that is effective in spreading our loyalty and we continuously support our existing clientele. When you come to us, our quality belt repair service will make you keep visiting us again and again. 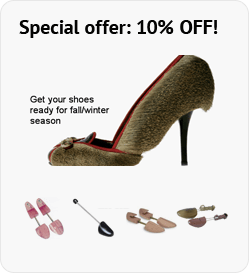 Our one stop shop for all kinds of accessory repair offers a panoply of services such as shoe repair, heels repair, shoe shine, stretch shoes and boots, belt adjustment and fixing, leather jacket repair, bag repair, men shoe repair, women shoe repair, luggage repair, dye leather and cut heels.